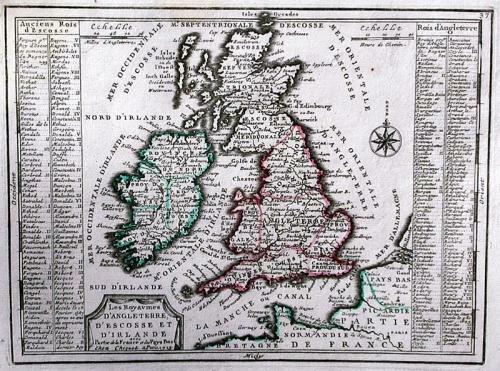 An elegant map of the British Isles. Along the left hand border is a two column list of the Kings of Scotland whilst along the right hand border is a list of all Kings and Queens of England. Unusually, included with the map is an additional explanatory sheet of the engraving.